DAVID LE/Staff photo. 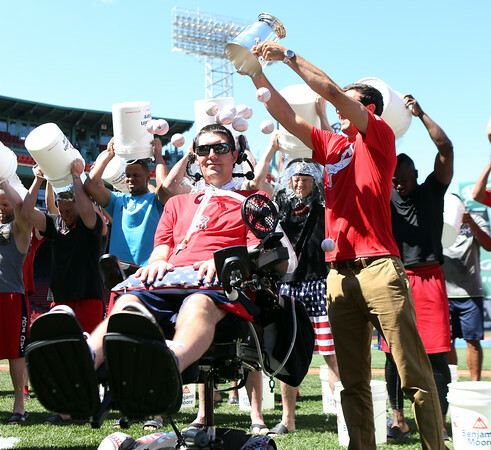 Andrew Frates, right, dumps a silver bucket of foam baseballs on his brother, Pete, as members of the Boston Red Sox dump buckets of ice water over their heads to kick offthe 2015 Ice Bucket Challenge to raise awareness for ALS at Fenway Park on Friday afternoon. 7/31/15.